Aloe Vera isn't just a trendy house plant that's loved by millennials the world over - this super succulent has been highly revered for its many health benefits for hundreds of years, and one of the easiest ways to reap its rewards is by drinking its juice. I was lucky enough to never suffer from sunburn as a child (my mother was always extra vigilant when it came to the importance of sunscreen, to the point where I rarely stepped outside without being covered head to toe in the stuff), but I remember being at a young friend's birthday party during a particularly hot Summer one year and seeing a fellow playmate's skin go bright red in the sun. He screamed a lot and my friend's grandmother came out with this most unusual spikey looking green plant. She cut one of the spikes off, sliced it open, rubbed it onto the boy and much to my amazement, he immediately stopped crying. I remember thinking that it must have been made of magic! Aloe Vera, of course, has been used to treat sunburns and skin irritations for a very long time and this widely available medicinal plant has no ends to its countless benefits, with more research in progress all the time. In recent years, Aloe Vera Juice has really hit it off as a health drink in the West, and if you've been curious as to why, here are just 5 ways that you can benefit from adding a little to your morning routine. Gut health is currently in the news and for good reason, as a healthy gut can protect against numerous illnesses and diseases. Aloe Vera Juice can help to promote good digestion thanks to its natural anti-microbial properties which aid waste secretion and has an alkalising effect on the body. It basically gets you 'going' and cleanses the delicate digestive tract at the same time. This makes it particularly useful for those who suffer from IBS or constipation problems. 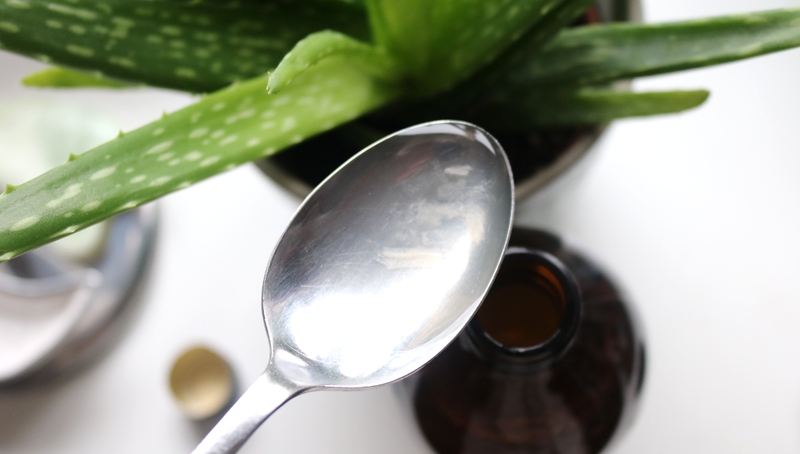 A small word of warning though - make sure that you stick to the amounts on the bottle and don't overdo it as Aloe Vera Juice can cause laxative effects in some people. New research has started to show positive links between consuming Aloe Vera Juice and its ability to regulate and in some cases, actually lower blood sugar levels in the body which can prevent Type 2 Diabetes. Tests on both animals and humans have shown scientists that there are specific compounds in Aloe Vera which help the body to stabilise insulin production. If you're feeling run down or having a particularly busy week, drinking a shot of Aloe Vera Juice in the morning can give your immune system a helping hand due to its vitamin-rich profile and polysaccharides content. These enable the body to better fight off things like common colds and infections and also helps to boost your blood circulation. Eaten too much or something that didn't quite agree with you? You can soothe some of the painful symptoms of heartburn by consuming a tablespoon of pure Aloe Vera Juice after a big meal. Researchers believe this is because of Aloe Vera's calming and alkaline effect on the stomach and digestive tract, which prevents the muscles connecting the oesophagus and stomach from contracting. As I mentioned earlier, you can apply Aloe Vera topically to the skin and it'll soothe away any skin irritation from sunburn to psoriasis and eczema flare-ups. You can choose to use a dedicated topical gel or if you already have a bottle of pure Aloe Vera Juice in your fridge, you can pour some onto a cotton pad and press it directly onto any irritated areas for instant relief. Due to the growing consumer demand for Aloe Vera Juice, you really need to choose your product carefully as some juices on the market contain as little as 1-5% Aloe Vera, so make sure that you read the label properly before buying. 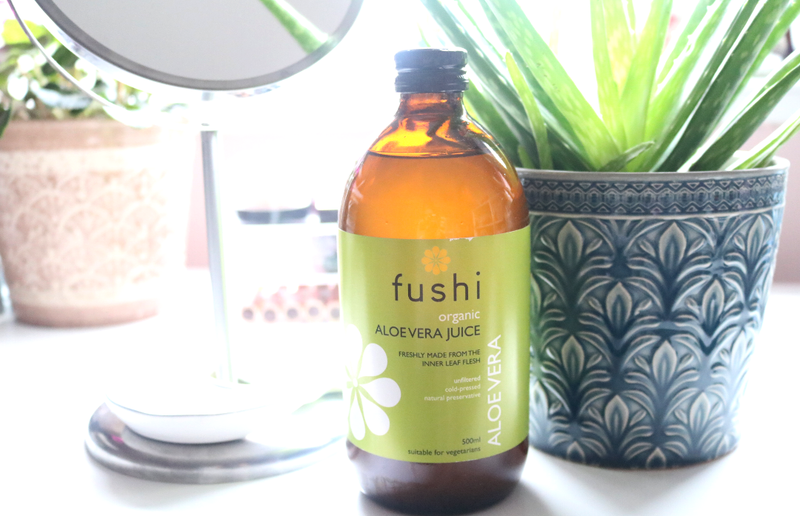 I always recommend looking out for certified organic produce when it comes to any health products/supplements that you're ingesting, and would highly recommend Fushi Pure Aloe Vera Juice which is 100% pure, organic, cold-pressed and unfiltered for the most natural and potent end result. This juice is hand selected from mature, organically grown Aloe Vera plants, and extracted only from the inner leaf where the most nutrients are found, which ensures that it has a minimum content of 1700mg/ltr polysaccharides. Free from preservatives, it comes packaged in a recyclable glass bottle (yay no plastic!) and should be stored in the fridge after opening where it'll keep for up to three weeks. 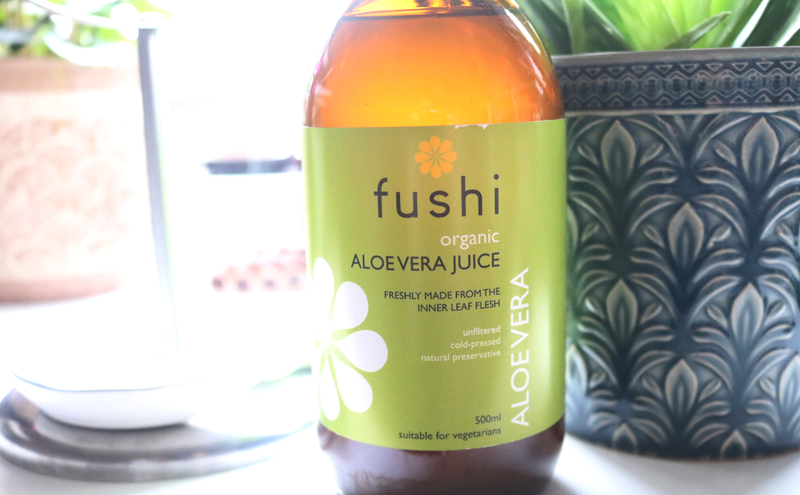 It has a much cleaner and fresher flavour than other brands that I've tried in the past, though Aloe Vera Juice can be something of an acquired taste so if you're not keen, it's easy to pop into your morning green juice or smoothie instead! Do you take Aloe Vera Juice?